Find us at these locations on the web. Aaac Service Heating and air, McDonough, GA. 22 likes · 2 talking about this · 4 were here. Reviews you can trust on Aaac Service Heating and Air from Angie's List members | 3027 keeneland blvd Mcdonough, GA.
See 20 photos and 12 tips from 1 visitor to Aaac Service Heating and air. "Turn of ac if it won't start it may still be pulling in electricity and..."
Stupid handyman could have killed us all.This gas valve was rigged it would never turn off. It could fill the crawl full of gas. I had to crawl 30' under a house with no way out fast. If I new he did this I would have turned off the gas to the house before going in. If you smell gas be safe turn off the gas at the meter.Call someone to service it,,, call the gas company first. Hours: Mon, 8am-5pm ; Tue, 8am-5pm ; Wed, 8am-5pm ; Thu, 8am-5pm ; Fri, 8am-5pm ; Sat, 8am-5pm ; Sun, 8am-5pm. We also service the Locust Grove area. We are here local for gas furnace and residential air conditioner repair open Saturday and some Sundays. Aaac service heating and cooling 7708754113. 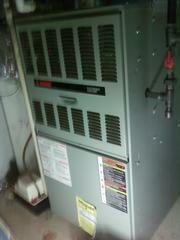 Furnace won't start Aaac service heating and cooling can help. Fan won't come on call Aaac service heating and cooling contractor. Ok I'm done with that. If you are in Henry county we can fix your residential furnace or air conditioner today. This is the stupid picture of the week. A handyman could not get the furnace to stay lit so he rigged the pilot switch. This will not let the furnace go into heat mode. If the pilot goes out the house fills with gas. It dangerous work if you don't know what you are doing. A gas valve is a stupid thing to mess with if you don't know what you are doing. If it doesn't blow the house up the smell will make everyone sick. Aaac service heating and cooling ing Mcdonough out.. The flame would not touch the thermo coupler. 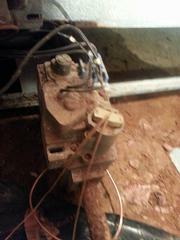 This 1985 furnace was to dangerous to lite I removed the string put on by jerk o and turned it off. Some people are to cheap for their own good. They didn't buy a new one.Aaac service heating and cooling will not lite a furnace this bad.I could have replaced the valve. The inside was rusted making it dangerous to run even if the valve was fixed. So it is time for a new one. 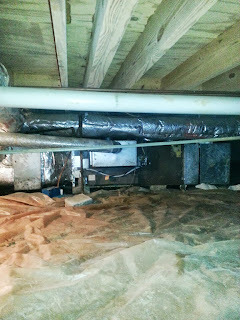 Aaac service heating and air residential furnace repair in Henry county. same day service All brands serviced. We sell Lennox and Aire Flo for furnace replacements. Furnace change outs can be do the same day if you call early. Weekend replacements are available if you schedule in advance. Open Saturday & Sunday for gas furnace repair in and near Mcdonough Ga. Aaac service heating and air 7708754113.